Wow! These places never cease to take my breath away. (I want to stand in that sunny spot pictured above.) Carved from millions of years of water rushing through sandstone and limestone their beauty is undeniable. The folks over at Environmental Graffiti have compiled an impressive offering of these amazing spots that we will share with you now. 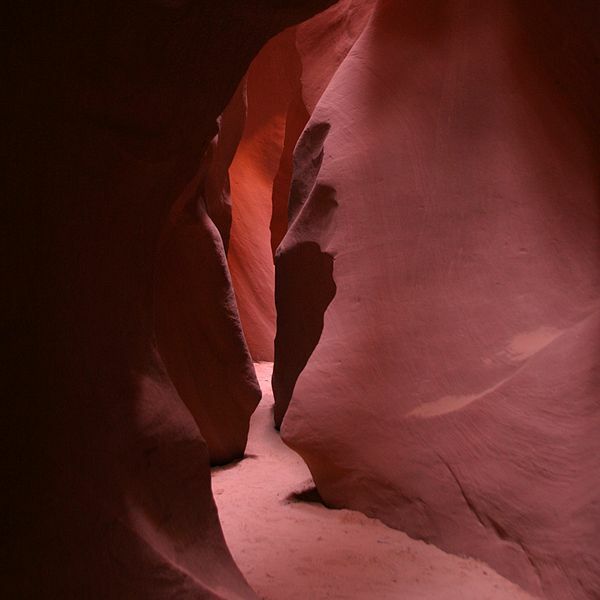 Located off the aptly named Hole-in-the-Rock Road in Coyote Gulch, southern Utah, Spooky Gulch is so-called because so little sunlight is able to reach its sandy, streambed bottom. No wider than 15 inches in most places, it is 30 feet deep. 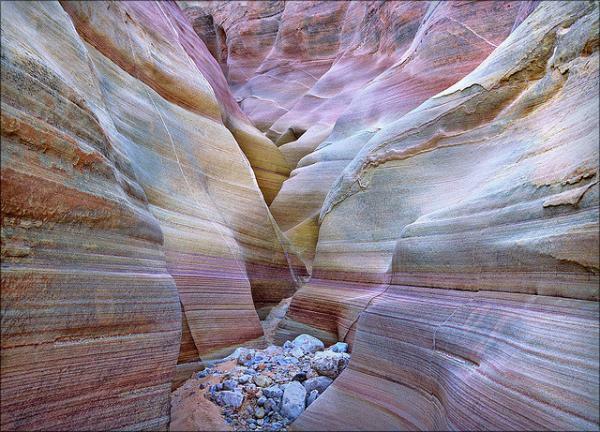 This miniature sandstone slot canyon definitely reminds one of an abstract painting. Located in the ‘Valley of Fire’, it is said to be 20 feet tall and about 600 feet long. 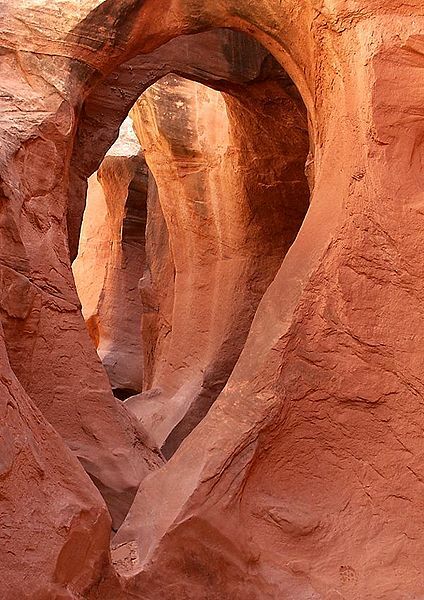 The Valley of Fire is Nevada’s oldest state park, dedicated in 1935. Some of the sandstone here is 150 million years old. 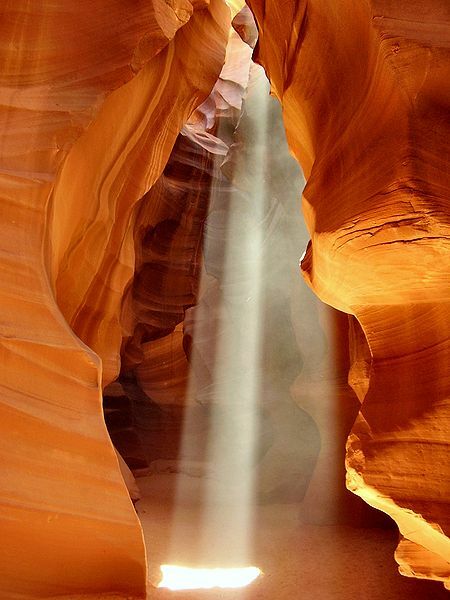 This small slot is located on private Navajo land near Antelope Canyon in Arizona. 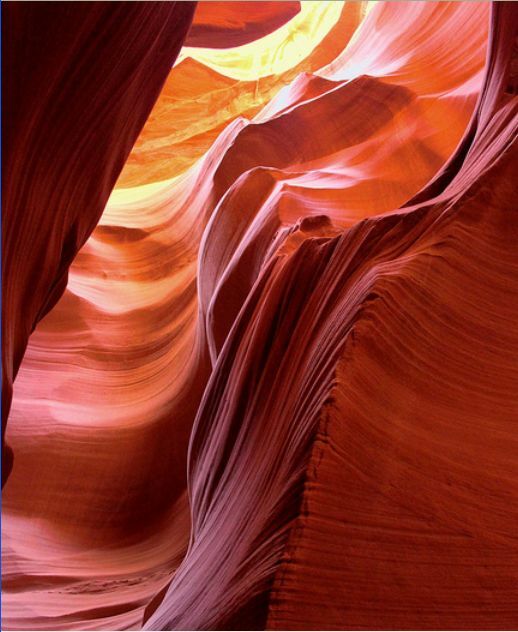 Stunning colors abound, and the red sandstone walls feature beautiful, characteristic swirls. 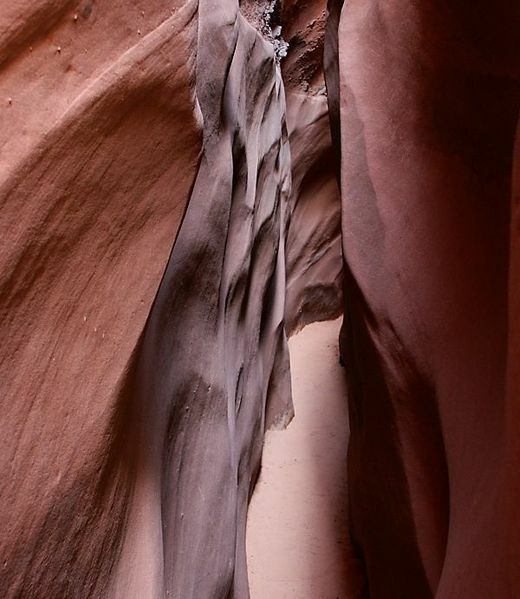 Although not very famous, this slot canyon sure is beautiful. 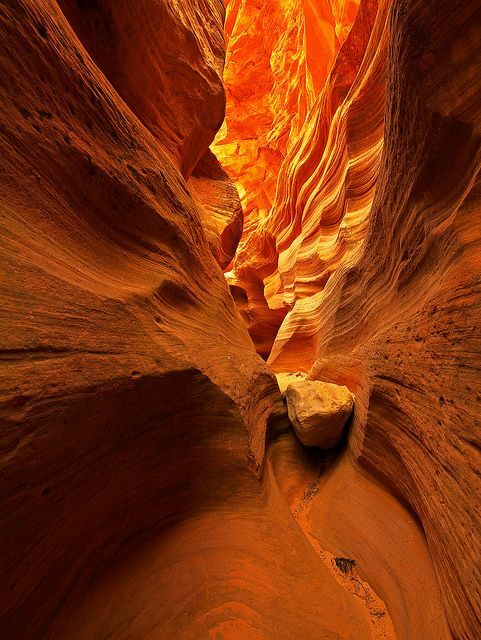 It can be found near Orderville, Utah and is also known as the ‘Red Cave’. 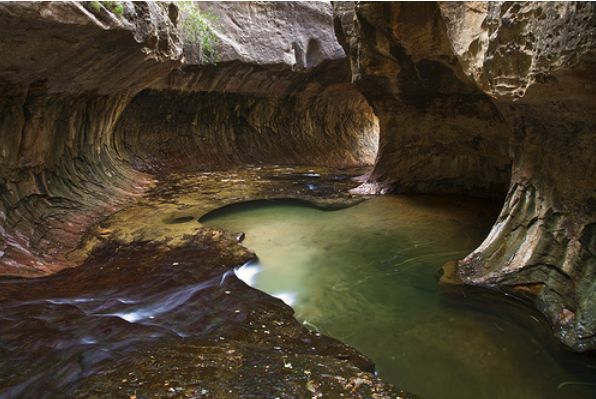 Part of Zion National Park – which is 229 square miles in size – some say it is even better to visit this spot when water is running between the canyon walls. The brilliant purples, pinks and oranges in this Arizona slot – known as Secret Canyon – are testament to Mother Nature’s creative palette. 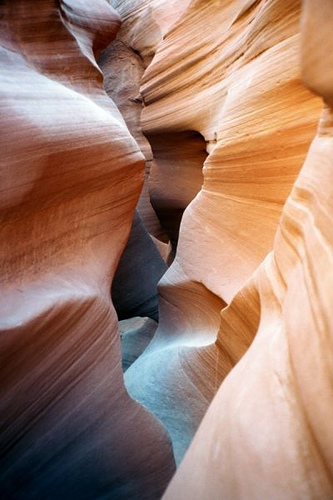 Not far from the world-famous Antelope Canyon, it showcases over 1,500 feet of incredible sandstone formations. Also part of Coyote Gulch is Dry Fork Narrows, a slot canyon formed by flash floods carving their way through Navajo sandstone. You can see the height of one such flood where the branch is jammed between the canyon walls. 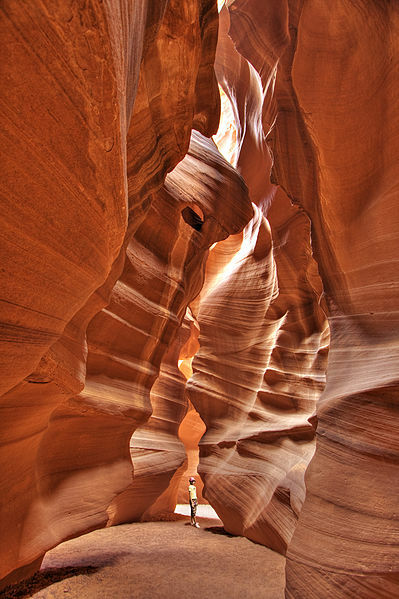 A hugely popular visit for canyoneering types, it is about 20 feet deep and hundreds of feet long. 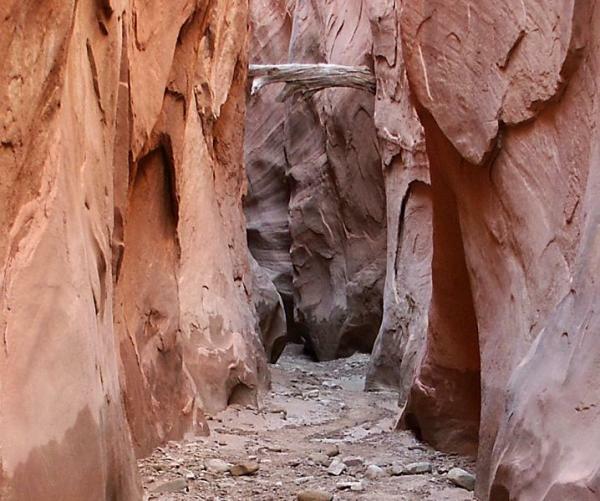 Not only is Buckskin Gulch in Utah the longest and deepest slot canyon in the American southwest; it may be the longest on earth! A whopping great 13 miles in length, it is a tributary of the Paria River, which is itself an offshoot of the Colorado River. The temperatures here are much cooler than the surrounding desert because of the lack of sunlight. Some parts of Buckskin Gulch require walking in ankle- or even chest-deep water and mud – there is even quicksand in some places! This slot should also never be accessed when there is a chance of rain. Flash floods pose a very real threat to hikers, with storms up to 50 miles away able to send 100 foot-high walls of water raging down between the narrow canyon walls. Located in Western Australia’s wonderfully named Bungle Bungles sandstone area in Purnululu National Park (famed for its beehive-shaped hills), Echidna Chasm is an extremely deep and narrow gorge. Only 6 feet wide in places, its vertical walls rise as high as 650 feet, and it is well over a mile in length. There is a ladder in place to help visitors descend into the innermost part of the chasm. You’d need to be dieting to get through this section of the gorge! As mentioned, some slots are so narrow that they are less than three feet across while others require abseiling or climbing equipment to access them. Echidna Chasm was formed by a combination of tectonic forces, water entering the rock via fissures, and salt and ice that sped up the erosion. 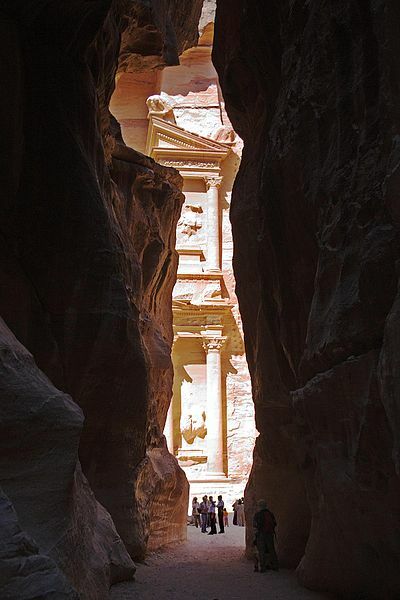 It is easy to miss the fact that someone is standing down at the bottom of this stunning slot! 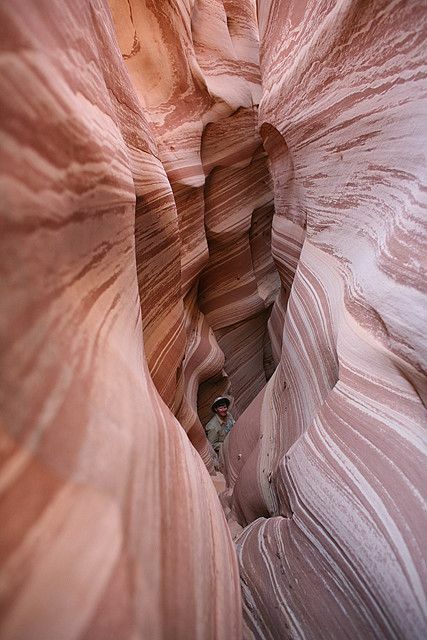 Utah’s Zebra Canyon gets its name from the distinctive orange and white bands of its sandstone and is very narrow and twisty. If you want to go further along the canyon than 300 feet, you’ll need some climbing skills, as a 10-foot-high vertical dry waterfall blocks the way. 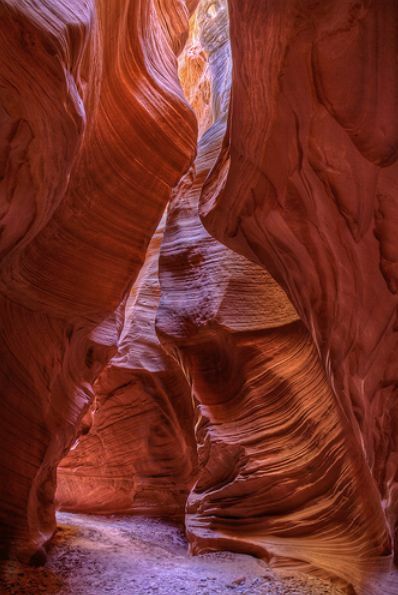 Antelope Canyon is the most photographed slot canyon in the world, and for good reason. There are two sections, separated by a couple of miles. 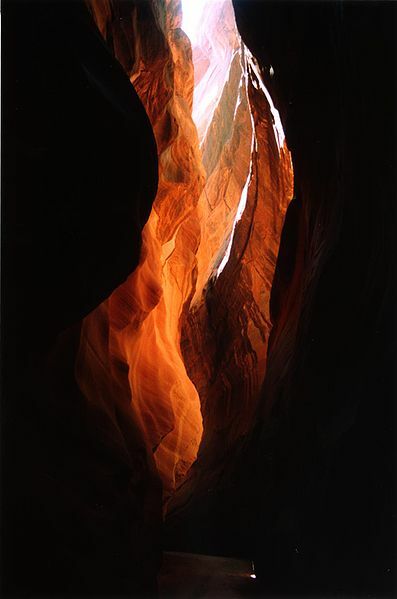 Upper Antelope Canyon is known as Tsé bighánílíní – “the place where water runs through rocks” – in the Navajo language; and the Lower Canyon Hazdistazí, or “spiral rock arches”. 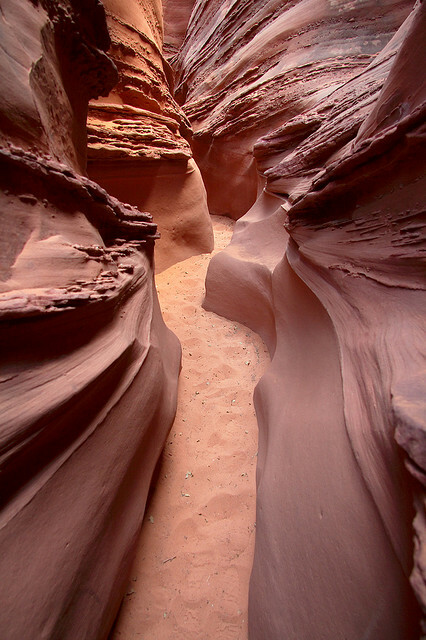 The canyon was formed by erosion of Navajo sandstone, mainly due to flash flooding and the slow wear of water and grains of sand rushing through its steadily deepening passageways. 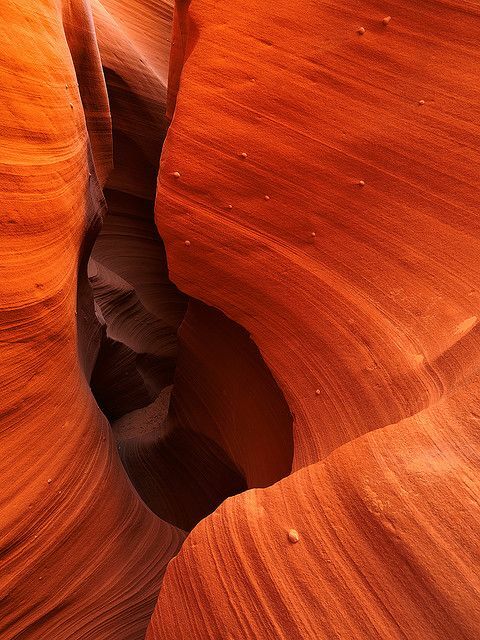 Antelope Canyon is only accessible through guided tours, for despite the beauty of its smooth, flowing shapes, it is not a place for the foolhardy, as flash flooding here has led to tragedy. On August 12, 1997, eleven tourists were killed when a flash flood ran through Lower Antelope Canyon. The tour guide survived because he had swift-water training. Since that time, metal ladders have been bolted inside the canyon and other safety measures put in place. 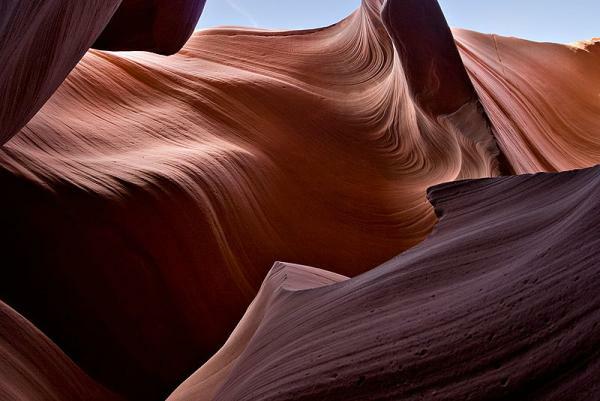 This canyon is beautiful – but potentially deadly. 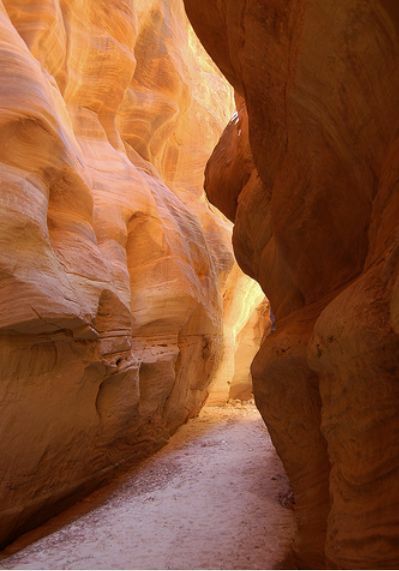 Al-Siq is a one-mile-long gorge that ends with the sight of the famous ruin at Petra known as Al Khazneh (“The Treasury”). In fact, the gorge – at points just 10 feet wide and with walls rising 300-600 feet high – is the main entrance to the ancient city and was formerly used by grand caravans. 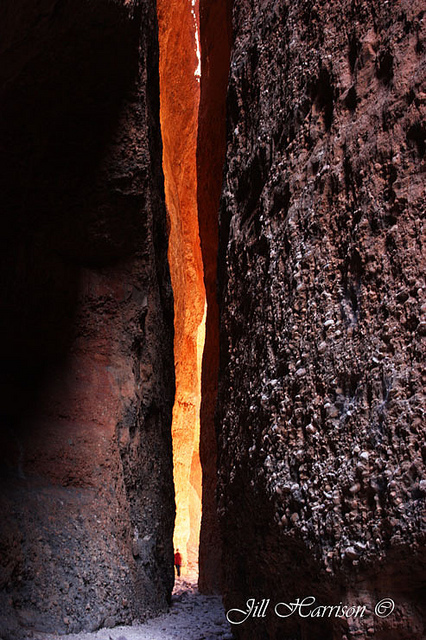 Another treasure in Utah’s Coyote Gulch, just off of Dry Fork Narrows, Peek-a-boo Gulch is a narrow slot canyon carved into sandstone that runs for about half a mile. It’s apparently a pretty fun slot to scramble through! This stunningly colored image of Happy Canyon, south of Hanksville, Utah, gives the sense of the walls closing in above you. 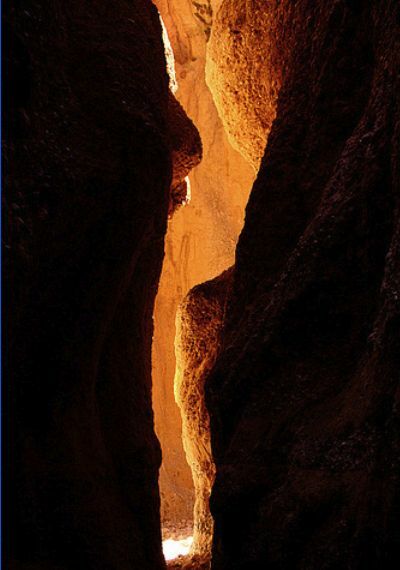 Photographer Orville Courtney says: “This is as close as I have ever gotten to having a picture look like what you see when you are in a slot canyon. You don’t feel the 15 degree+ temperature drop, or hear the cathedral like echo as you walk along, and in a really deep one there is almost a foreboding feeling. But if nothing else, it might give you an idea of why people really enjoy exploring them.” Nuff said.